Police Special Investigation Division has begun an investigation on a compliant received that a former senior officer of STF retired DIG K.M.L. Sarathchandra has misused state vehicles. It is reported that Mr. Sarathchandra was summoned to PSD to question him in connection with the complaint. After he retired from the STF he had been given another position in eh Ministry of Defense. With this position he has taken away the vehicle he had been given by the STF and several other vehicles. Despite the special position was revoked after 9th January, 2015, he had continued to use the vehicles for some time without returning them to proper authorities. It is reported that the Special Police Division has commenced another investigation against former Chief Minister of Western Provincial Council Prasanna Ranatunga and three senior officials on a complaint made by 30 Members of the Provincial Council including its Leader of the Opposition Manjusri Arangala stating that the former Chief Minister and the officials had misappropriated Rs. 70 million of public funds. The Special Division recorded statements in connection with the complaint from Mr. Arangala and five other Members of the PC yesterday (22nd). Statements from 15 more members have been already recorded say reports. The pioneer editor of ‘Sunday Leader’ newspaper LasanthaWickrematunga was murdered by former Defense Secretary Gotabhaya Rajapaksa revealed the Minister for Regional Development Field Marshal Sarath Fonseka in Parliament today (21st). Mr. Lasantha Wickrematunga was brutally murdered while he was driving to his office in January, 2009. 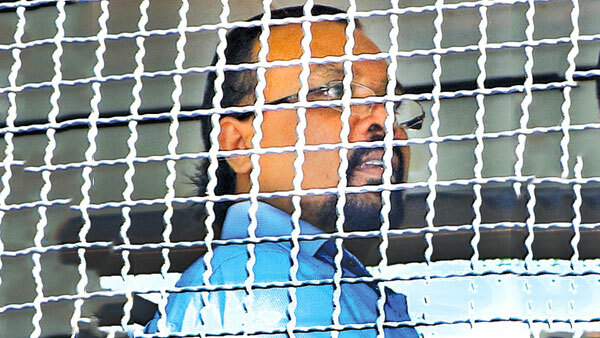 Colombo Fort Magistrate Lanka Jayaratne ordered to re-remand Sarath Weerawansa, former Minister Wimal Weerawansa’s brother till 5th October for causing a financial loss of Rs.10.5 million to the governemnt by misusing vehicles from President’s pool of vehicles. Several relatives and party members of former Minister Wimal Weerawansa have been accused of misusing public proeprty and vehicles belonging to the government. The CID informed Colombo Additional Magistrate Nishantha Peiris today (21st) that the missing body parts of the former Rugby player Wasim Thajudeen had been taken to the private medical school in Malabe. It was when the case was taken up for hearing today morning. The CID informed Court that former Colombo Chief JMO and Vice Chancellor SAITM Prof. Ananda Samarasekara is being investigated in connection with the missing body parts. The CID said statements have been taken from several employees in the JMO’s office and according to their statements recorded the body parts were moved in 15 parcels in a vehicle on the instructions of former JMO Ananda Smarasekera. In investigations carried out regarding this it was revealed that the body parts had been taken to SAITM. After considering the submissions Additional Magistrate Nishantha Peiris former IGP Anura Senanayaka and former OIC Crimes of Narahenpita Police Sujith Perera were re-remanded. The case will be heard again on 5th October. Ranil and Maithri are like property auctioneers, they are selling country’s resources and the wrong economic policy that is being followed should be changed says the Leader of the JVP Anura Dissanayaka. Speaking at a seminar held in Colombo yesterday (20th) under the theme ‘Trading, sacrifice and ETCA’ the JVP Leader said, “We have commenced a dialogue throughout the country regarding selling of resources, sacrifice and ETCA. The destruction of the economy in our country is evidently displayed in the selling of resources, their sacrifice and agreements such as ETCA. Meanwhile, there are more controversial issues in the country. The defeated Mahinda Rajapaksa clique is repeating their pseudo slogan of ‘tigers are rising again’. It is difficult to think that the LTTE could be built again when considering the way the LTTE was militarily defeated, the manner the organization had been built and considering the needs of the LTTE. Of course, there is a political activity carried out by a few separatists in the North. However, it is not the necessity of the people in the North. It is the people in the North who were severely harmed by armed gangs, who lost their children, whose lives were unprotected and were severely distressed due to the war. Hence, there is no possibility of such a situation reoccurring. Despite the need of Rajapaksa clique is the rise of separatism in the North the aspiration of the people in the North is not that. There are various talks about the diaspora. Separatist groups clamouring in foreign countries when there is no separatist movement in Sri Lanka would be of no use. Sinhalese and Tamil people who have gone abroad from here meet at various places for various reasons. As such, diaspora shouting once or twice a year wouldn’t give it any power in this country. Also, a dialogue has been made to go round that a new constitution is being compiled. 1978 Constitution clearly states the process that should be followed when bringing in a new constitution. A constitution should be drafted, presented to Parliament, passed with a 2/3rd majority, presented to the President and should get it approved in a referendum. Hence, a new constitution cannot be adopted just because an individual or a group wants. A constitution cannot be adopted in a hurry. However, Rajapaksa clique that was beaten is trying to bring up a discussion regarding a new constitution. Ranil and the government too use the constitution topic to conceal its impotency, frauds, corruption and waste. Rajapaksa clique does not have any other topic to bring up. When talking about the stealing carried out by this government the other party could say Rajapaksa clique stole more than stealing being carried out now. When talking about repression of the media, Rajapaksas have done much better. Also, Rajapaksa clique cannot talk about good governance. As such, Ranil – Maithri camp and Rajapaksa camp have made constitution issue a football to kick from side to side. On another side they issue statements saying that there are imperialist interventions, the JVP doesn’t do anything about it, now the JVP has become unpatriotic. Imperialism is the practices carried out to cure an own crisis when independent capitalist states are confronted with crises. It also attempts to grab profits, labour, resources and markets in the economic front. Imperialism too has a political front. It is this political front that interferes via human rights. It also has a cultural front and a military front. Imperialism is the total of all these fronts. Hence, it is only the JVP that could raise its flag high against imperialism. For that we need not get tuition from anyone. Rajapaksa clique talks about patriotism to hide the ugliness of its defeat. The struggle against imperialism could be enlivened only through a joint struggle with all other left movements in the world. The JVP is ever ready for such a task. There is an attempt to use various topics to continue to divide the masses in the North. The limited extremist, separatist group as well as the extremism of defeated Rajapaksa clique in the South continue to act in a manner to divide the masses. There should be a reassessment of the change that occurred on 8th January, 2015. The slogan of the extremist Tamil organizations in the North at the presidential election was people in the North should abstain from voting as electing a President is not relevant to the people in the North. Separatists declared that Tamil people should not use their votes. Mahinda Rajapaksa who was defeated said after his defeat that he was defeated due to the vote of the Tamil people. This explains Rajapaksas’ extremism. As such, Rajapaksa clique is giving life to a most sinful political front. Under all these topics runs a colossal crisis in the country. The government does not know how many people in our country do not have a house to live in. Sometimes they say 1.5 million do not have houses. On another instance they say only .75 people do not have houses. It is the masses in the North and the South who are distressed due to the lack of a house to live in. Also, there is a dearth of jobs. 350,000 youths are unemployed. 21% of the youths who are under 25 years of age are unemployed. Youths in the North and the South suffer from unemployment. People suffer as they do not get an income to make their ends meet. Mr. Ranil Wickremesinghe said in Parliament recently that 42% of our population earn only less than US$ 2 per person. How could anyone live with an income of Rs.290? Many in our country have been denied life. The youth in our country has been endowed with illegally enter a country. Either the mother or the son is sent abroad. This is the issue that is at the bottom. There is a genuine tragedy that ahs been concealed with the drapes of LTTE, diaspora, new constitution etc. The likes of Ranil Wickremesinghe and Mahinda Rajapaksa are putting up screens to conceal this tragedy. However, the JVP is prepared to create a people’s power to tear these screens and struggle with the people. The people in our country suffer for generations to construct a house to live in. Isn’t unavailability of an abode for person a tragedy? Isn’t it a tragedy if parents are unable to give their children a good education? There are about 400 schools in our country where a single student has not been admitted. There are 2000 schools where less than 10 students have been admitted and 4000 schools where less than 20 students have been admitted. However, 26 schools get over 100,000 applications for admission. The education in our country has been reserved for a few schools and all other schools have been neglected. People have been made vulnerable health wise; suffer from infectious diseases. They worried as they are unable to diagonise their illnesses. Due to sicknesses people have been made weak economically. As such, we have a genuine struggle. This is not a crisis of the present leader s. It is the disaster created by the rulers who ruled our country for 68 years. The economy of our country is locked in a life or death struggle for its existence. During the past 1 ½ years thee was something that the President, the Prime Minister and eh Minister of Finance uttered regularly. It was loans, loans and loans. Our country has been locked in a massive debt trap. Also, despite nine months have gone by in this year, there is no budget yet. Ravi Karunanayaka presented a document. After a few months Ranil Wickremesinghe presented another. They are unable to tell the expenditure and eh income of the government. Daily, the Central Bank is instructed to release bonds to earn money. Or a tax is levied. The government is immersed in a colossal economic crisis. Ranil, Maithri and Ravi talk about the economic crisis just to attack Rajapaksa. Those days Rajapaksa did the same pointing fingers at Prabakaran. This shows that the country is in a colossal economic crisis. What do the likes of Ranil Wickremesinghe say now? Some had created a false notion that Ranil was an economic expert. Now the strategy is to sell state enterprises; to sacrifice state institutions and natural resources – to sign agreements such as ETCA to open the service sector. The JVP is against selling. The economy in our country is very small. The goods and services trade is only Rs.11,000 million. The total investment is only US$680 million. Our share in the world market is only 0.05%. Exports earn only US$ 10000. In a country where such a small economy exists an essential quota should be manipulated by the government. Otherwise the economy of the country would be grabbed by a few businessmen. For example the paddy market in our country is 4 million metric tons. As a result of this is in the hands of a few businessmen the rice market has been distorted. The price of paddy has gone down but the price of rice has increased. As such, despite countries with large economies follow privatization, it doesn’t suit our small economy. It is necessary to keep power, monetary, consumer goods and services sector under the government. Otherwise there would be a distortion. Ranil Wickremesinghe and his group want to abandon everything. Their excuse is that state institutions run at a loss and they have become a burden for the government. ‘Srilankan’ is to be sold. Ranil Wickremesinghe says the money that has to be invested in ‘Srilankan’ would be given for schools. He lies when he says it is sold because it runs at a loss. The debt burden of Srilankan is Rs.78 billion. The government gives this as the reason to sell Srilankan. However, the company is to be sold after the Treasury is burdened with its debt. The government again has to bear this loss. Hence, the talk about selling Srilankan because it inflicts losses is a lie. These institutions run at a loss not because of the fault of the people. Ceylon Petroleum Corporation and Indian IOC engage in fuel trade. Fuel is imported, stored and is traded through outlets throughout the island. While IOC earns a massive profit the CPC of the government runs at a loss. How could it run at a loss when 65% to 66% of fuel market in the island is with the CPC? The fault is with the ruler. The CPC need not pay for the errors of the ruler. The Paddy Marketing Board buys paddy. The private sector too buys paddy. However Paddy Marketing Board is run at a loss. Are only CPC, PMB and Srilankan the only institutions that run at a loss and are inefficient? Is Divisional Secretariat efficient? They are very inefficient. Land offices, police stations are very inefficient. If the CPC is sold as it is run at a loss the police stations too should be sold. It is not one institution that is inefficient; the whole government is inefficient. Then the government too should be sold. What exists here is an issue about the economic policy. Throughout the world places where independent capital could not wriggle in are owned by the government. However, opportunities have been created in Srilankan, Northern Jetty in Colombo Port to wriggle in foreign capital. The room has been created to exploit resources and labour in our country. What the likes of Ranil Wickremesinghe want to do is to create space for imperialist capital. Tender s have been already called to hand over the Northern Jetty of Colombo Port to a company. We say with resolve that the attempt to sell the Northern jetty of Colombo Port would be defeated. The Colombo port is currently ranked as the 29th busiest port in the world and it is graded 26th in international standards. Among them are 8 ports in China, 2 in India and several in Brazil. In our country which has only a small economy Colombo Port is among 26 best ports in the world. We have 5 ports at Colombo, Galle, Hambantota, Oluwil and Trincomalee. After late Ashroff became the minister Oluwil Port was constructed. A large loan was obtained for the purpose. We spent Rs. 8000 million for it. Despite declaring it open three years ago not a single ship has come to the port. Rs. 144,000 million was spent to build Hambantota Harbour. A loan of Rs. 129,000 million was taken. The loss from Hambantota Harbour is Rs.38000. All these losses are covered with the income from Colombo Port. The container affairs in Colombo Port have been handed over to 3 companies. Earlier Port Authority managed 86% of container affairs. Now it has come down to 38%. As it was not sufficiently deep the Northern Jetty was deepened recently spending a large amount of money. Now the Northern Jetty is to be sold. A government Minister said the Northern Jetty would be handed over to India as it is upset due to China getting the Port City. The tender is adjusted so that India could bid for it. This is Ranil’s economic policy. There are no economical factors here. Colombo Port would be the most important place in our economy. Hence, the attempt to sell Northern Port should be defeated. Ranil Wickremesinghe went to China and asked them to take over Mattala Airport and Hambantota Harbour to commence industries. Hambantota Harbour for which Rs.144,000 million was spent should be sold for at lest Rs.200,000. However, China that built Hambantota Port states it is not worth Rs.144,000. This is where the fraud is. This means Rs.144,000 million has not been spent to build it. Next, Lanka Hospitals is to be sold. Ranil Wickremesinghe who came to power in 2003 sold Insurance Corporation. Harry Jayawardene who bought Insurance Corporation bought shares from Lanka Hospitals with money earned from Insurance Corporation. There was legal action demanding that Insurance Corporation should be taken over by the government. When Insurance Corporation was taken over by the government after the trial, Lanka Hospital became the property of the government. Ranil Wickremesinghe says institutions built without an aim are now with the government. That means institutions such as Lanka Hospital. A theory is being created that selling such institutions is not a crime. Lanka Hospitals has fixed deposits worth about Rs.800 million. At present the charges for medical services including surgeries is not controlled. There is a mafia in private hospitals. As such, Lanka Hospitals could be used by the government as a center that would regulate fees and charges in private hospitals. When there is such an opportunity the government is preparing to sell Lanka Hospitals. During the 2nd world war an oil tank farm of 102 tanks was built at Trincomalee. In this farm 10,000 metric tons of oil could be stored. Four month’s need of fuel by the country could be stored in this oil tank farm. In storing complexes at Kolonnawa and Muthurajawela could store only a month’s need of oil. The oil tank farm is so huge and it is important as it is near Troncomalee Harbour. There is the facility of distributing fuel by train. Hence, Trincomalee could be used as a center to distribute fuel. This resource could be used to benefit the country. However, eh government is attempting to sell it. The original plan, before Hambantota Harbour was built, was to build a service complex for ships. A large number of ships sail along the sea route near Hambantota daily. If we could bunker 100 of those ships daily the country could earn a large income. 12 oil tanks were built at Hambantota Harbour spending money from Colombo Harbour. Now, Ranil Wickremesinghe wants to sell these tanks as well to IOC. Country’s resources are handed over to John Keels. How could the government say important economic centers inflict losses? The resources that bring income to the country and are owned by the people are to be sold. The rulers are sacrificing the ownership of the people. There are 14 islands that belong to our country near Kalpitiya. They belong to our people. The President, by a memorandum, has handed over the islands to the Tourist Board. During Mahinda Rajapaksa’s term two of these islands were sold. Now an island with an area of 1256 acres is to be sold. Ranil Wickremesinghe sends a letter to District Secretary, Hambantota asking him to hand over 15,000 acres from Hambantota area to companies to build factories. Lands that have come from ancestors and owned for generations are to be leased to companies. A large number of lands in our country are to be owned by foreign countries via port city. Due to port city we lose 600 acres of lands on the surface. The land we lose under the sea – the sea bed- is more than 1000 acres. 65 million cubic meters of sand and 3.4 million stones are required to fill these areas. It is planned to get sand from Negombo lagoon. This would damage the beach around Negombo and disturb bio-diversity destroying organisms and coral reefs. It is also planned to get granite from Kaduwela, Hanwella areas. The environmental system would be severely harmed in these areas as well. On one hand state resources are sold and on the other precious resources are destroyed. Maithri – Ranil administration is like property auctioneers. All resources are auctioned. These are not governments. A government should protect resources of a country. During Mahinda Rajapaksa’s term cement factories were to be constructed under ‘’One Cement Factory in One Harbour’ concept. Accordingly, only one cement factory could be built near a harbour. The factory that could be built near Hambantota harbour was sold to a company. Now, our government is not able to build a cement factory near a harbour. This is how the resources and the rights of the people are handed over to others. There is one sector this path of selling country’s resources could not approach. It is the information technology sector. Information technology sector is the sector that could be expanded economically. The economic value of the sector cannot be gauged. It is decided on knowledge and opportunity. All those who enter education informally too could enter information technology sector. A very methodical education is required to create a doctor or an engineer. However, doctors, engineers, arts graduates, those who have passed A/L examination could enter this sector. All of them could enter information technology sector after a certain level of education. Hence, information technology sector is a sector which opens huge opportunities for the youths of our country. What is the government doing now is to open the information technology sector to India through ETCA. India has understood eh importance of the information technology sector. In discussions held for ETCA agreement they not prepared at all to give up IT sector. They would not sign ETCA agreement without IT sector included in it. India’s main intention is information technology sector. Present Governor of Central Bank Mr. Kumraswamy and gentlemen such as Kalegama did a huge task in preparing ETCA agreement. At a discussion a group of intellectuals asked them what was the scientific basis adopted to sign the agreement. However, it was revealed that they did not have such a scientific basis. ETCA is to be signed without any scientific evaluation. Important software is produced through information technology. MIT is an institution that has built through this sector. This institution created important software to regulate financial affairs. The institution was praised. This Sri Lankan institution was able to create software that could regulate World share market. They were able to produce software for London share market, the Wall Street share market in the USA. As MIT institution was not given state patronage it was bought by London share market. Also, WSO2 has produced important software for Defense Department in the US. When tenders are called by the US Defense Department WSO2 has been able to compete with large companies such as Microsoft and it ahs an important place in the field. However, our governments do not invest money to develop such institutions. Instead of constructing highways such institutions could be developed. This most important sector – the IT sector- is to be handed over to India. In certain areas India is in front of Sri Lanka. In cricket we are equal. In IT too we are equal. Hence, this sector should not be made open to India. It is eh future of our youth that is to be sacrificed through ETCA. In Rupavahini channels politicians unimportant speeches are telecast and various political pageants are displayed. Behind these pageant delusion Ranil – Maithri administration is dragging our country towards a very horrendous situation. The report compiled by the Committee on Public Enterprises (COPE) has been distributed among all the Member MPs of the Committee. The copies of the report were distributed yesterday (20th). COPE will meet on the 23rd to discuss the report and it includes the process in which COPE investigated regarding the Central Bank bond transaction state reports. The Chairman of COPE JVP Parliamentarian Sunil Handunneththi spiking about this said the report on Central Bank bond transaction compiled by the Auditor General and includes very sensitive information too was made available to COPE members with the permission of the Speaker. COPE Chairman said after the discussion of the Committee on the 23rd regarding the report compiled by COPE Secretariat recommendations would be obtained separately from COPE members and it is expected to present the draft of the report to Parliament together with these recommendations on 13th October. COPE Chairman Sunil Handunneththi further said all the documents used in the investigations to the bond issue would be annexed to the draft. Six members of the tender board of the Anti Filariasis Campaign, including its director, are to be summoned to the Presidential Commission of Inquiry to Investigate and Inquire into Serious Acts of Fraud, Corruption and Abuse of Power, State Resources and Privileges (PRECIFAC) for inflicting losses to the government by importing substandard antibiotics that are dangerous for human consumption. The Secretary to the Commission H.W. Gunadasa has noticed the officials to appear before the Commission on the 30th. The substandard antibiotics had been imported in 2014. It has been found that the antibiotics imported were harmful for patients as well as health workers. There had been many reports of deaths due to the use of substandard antibiotics. The Badulla District Convention of National Bhikku Front (NBF) was held at Capitol City Reception Hall at Badulla on the 18th of this month. A large number of Bhikkus from Badulla District and several distinguished guests had participated. Several including the General Secretary of NBF Ven. Wakamulle Uditha Thero, JVP Provincial Council Member Samantha Vidyaratna and Senior Lecturer of Sabaragamuwa University Jayalath Ratnayaka had addressed the gathering. 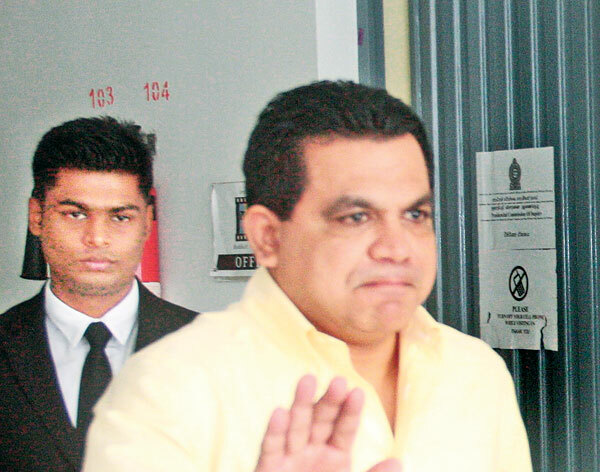 The Commission to Investigate Allegations of Bribery or Corruption today (20th) morning filed an application at the High Court, seeking to revise the order given by Colombo Chief Magistrate to grant Nissanka Senadhipathi and retired Major General Palitha Fernando bail in the Avant Garde case filed by the commission regarding an illegal transaction of Rs.35.5 million. Accordingly, Colombo Chief Magistrate M.C.D.S. Moraes ordered to issue notice on Avant Garde Chairman Nissanka Senadhipathi and former Chairman retired Major General Palitha Fernando to file objections before 17th October.